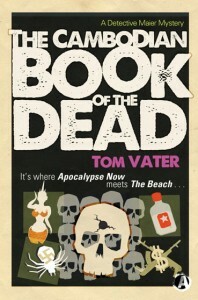 TOM VATER, author of The Cambodian Book of the Dead, asked me to take part in The Next Big Thing, a short interview that highlights authors and their new or forthcoming books. Tom was invited by Janet Brown, author of Tone Deaf in Bangkok. I’ve been meaning to blog about Simon‘s novel, Border Run, for ages now, and will get around to it over the next month. For one, it’s the only English-language novel I know of, besides mine, that is set in Yunnan, Southwest China, and, two, it is the only travel fiction I’ve enjoyed in the past year or so. Simon’s Yunnan is not mine—his is the Southeast Asian border flatlands known as Xishuangbanna. home to the Dai people. 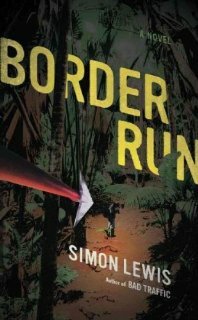 It’s a claustrophrobic, haunting narrative with a cast of just three—with some “tribal” cameos—who take a day-trip to a waterfall that goes terribly—murderously, in fact—wrong. Lewis is also the author of the pioneering travel fiction debut (there were two others, The Beach and Are You Experienced?) Go, which has recently been re-released in Kindle format. China veteran Paul French has penned a historical, nonfiction—though novelistic at times—whodunnit, in which the author does his own sleuthing more than half a century after the crime. On 8 January 1937, the body of a 19-year-old English girl was found near the so-called Fox Tower in Peking. Her heart was missing, her ribs prized apart. In Midnight in Peking, French revisits the scene of the crime and the thwarted joint investigation between British and Chinese troops in a decadent city under the shadow of a looming war with Japan—and uncovers details that were lost in the chaos that eventually led to the Chinese Communist Revolution of 1949. Gripping. 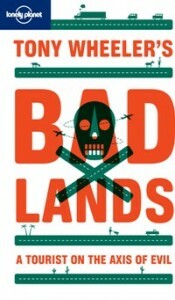 Tony doesn’t need much in the way of introduction, and I’m bending the rules here somewhat—I think, at least—because Bad Lands is nonfiction, and if someone had to play the lead role in a movie of his book, it would have to be Tony himself. That’s besides the point. Bad Lands is an irreverent romp—literally, really—through all the hot-spots of trouble and terror that have been ideologically tar-brushed and fenced off from the travel circuit. In the spirit of the now age-old Lonely Planet catch-cry, “Don’t worry how your trip will work out, just go,” Tony goes and discovers it’s not as scary out there as “they” would have you think. And, by the way, while I’m at it, Tony and I will both be appearing at the Australian Festival of Travel Writing, 22-24 March. I don’t care what anyone says, Lawrence Osborne‘s Bangkok Days is nearly fiction, and I found myself frequently wondering as I read this winsome, idiosyncratic journey through the Bangkok cityscape—with forays into medical tourism, among other things—why he didn’t just take the plunge and make it a novel. Anyway, the perfect antidote to all that noir and and private dicks with bargirls on their laps that clutter the Thailand section at Asia Books. I’m cheating again, because Pico is highly unlikely participate in this. As far as I know, he doesn’t really do the internet, and I was surprised to discover that he has a website. 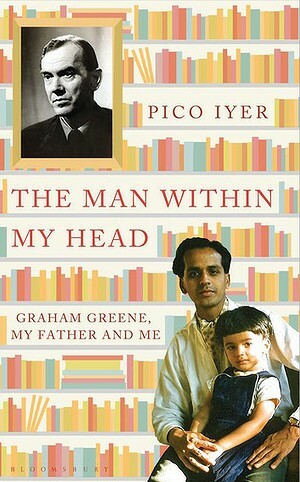 But I decided to put him here because he is one of the best travel writers around, and The Man Within My Head is a tribute to the master, Graham Greene, who wrote the Asia novel, The Quiet American. Q What is the title of your book? A Harvest Season (available in both print and digital versions on Amazon). Q What is the one-sentence synopsis of your book? A Retired travel writer retreats to a village in the mountains of Southwest China on a kind of Year in Provence quest, falls in love with the wrong girl, and watches his tiny slice of paradise yield to the forces of the travel scene he thought he was escaping from—and with ultimately tragic results. Q What genre does your book fall under? A I’ve never really thought of Harvest Season as genre fiction, but “travel fiction” if you need a label. Q Where did the idea come from for the book? A A surprisingly unusual scene in China that I discovered on a writing assignment. I almost never left, and for a while I was worried I would wind up dead for staying as long as I did—for reasons I think the novel ultimately makes clear, even though it’s a very fictionalized version of events. Q How long did it take you to write the first draft of the manuscript? Q Who or what inspired you to write this book? A The madness of modern China. Q Will your book be self-published or represented by an agency? A This is a re-release. 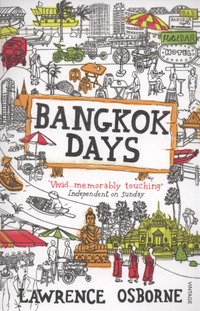 It was first published in October 2010, with a small Hong Kong, Shanghai-based publisher, Earnshaw Books. It’s currently self-published through Amazon in print and Kindle formats, but that may change in the near future. Q What other works would you compare this book to within your genre? A I hate questions like this. They’re rather like, what’s your favorite color? Simon Lewis, in his latest—see above—is in similar territory. I think James Hamilton-Paterson is a sadly neglected literary exile who has written extensively about Asia. It’s difficult to get his books, but try The Bell Boy, set in an imaginary Asian country, and poignant on the subject of culture clash, much as Paul Bowles was in Under the Sheltering Sky. There were endless comparisons to The Beach when Harvest Season was first released. I found it tiresome. I think they’re totally different beasts. Q What actors would you choose to play the part of your characters in a movie rendition? A I seriously can’t imagine Harvest Season as a movie, although some readers, I know, disagree. If it were to happen, I would hope the casting isn’t left to me. I’d never make up my mind. Q What else about your book might pique the reader’s interest? 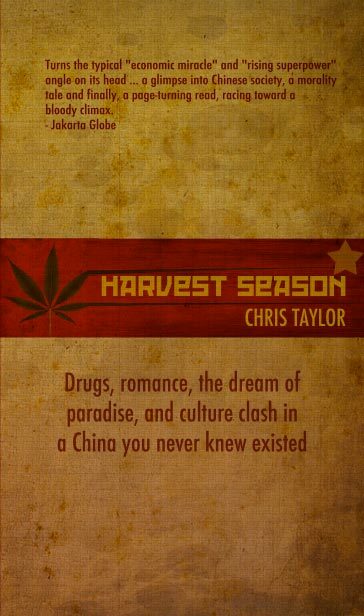 A As far as I know—in English or in Chinese—it’s the first drug novel set in China.